AAVP7A1 "P9" emerging from the surf. 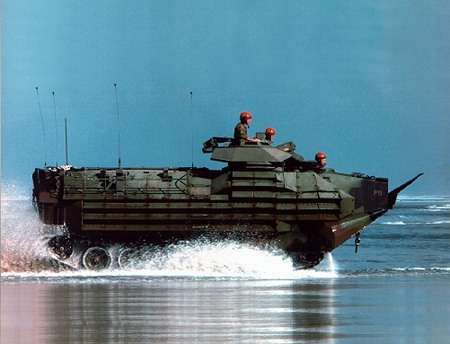 According to SSgt Daniel "FAT-AT" Attilio, the crew chief at the time of the photo, the helmets are painted red/orange to identify the Amphibious Vehicle Test Branch unit. 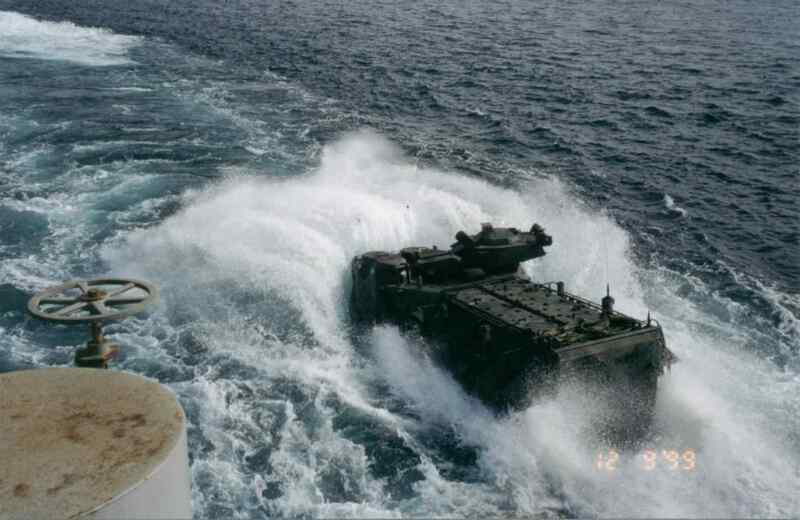 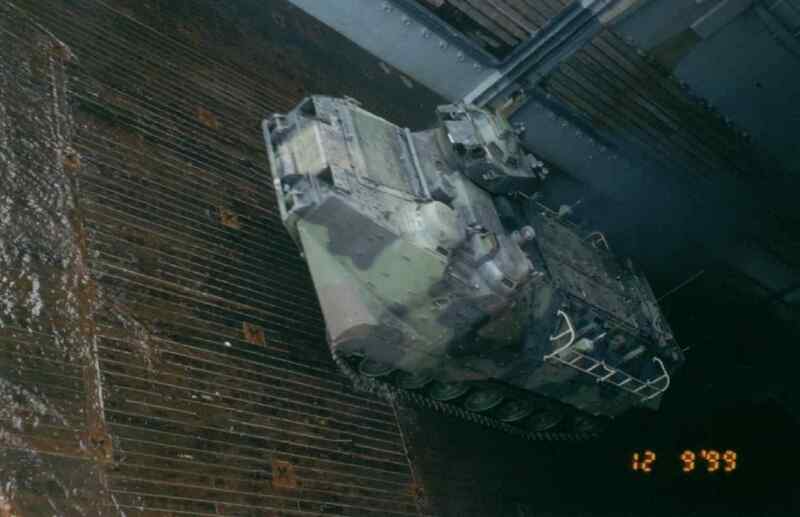 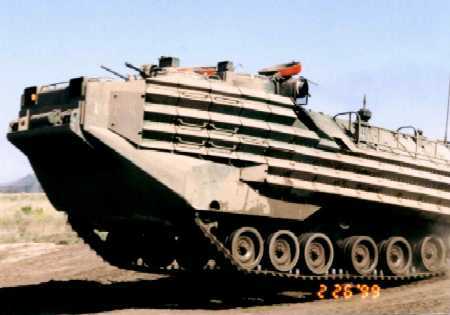 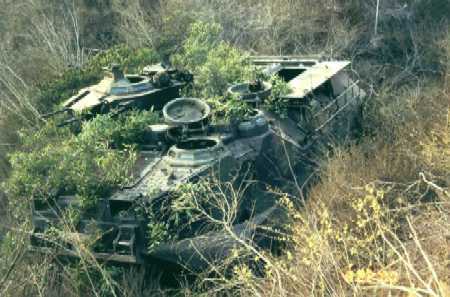 This AAV, Serial #522525, is labeled "LOWRIDER", and is now back in the Fleet Marine Force.